Dalhousie is very popular hill station situated in the state of Himachal Pradesh and is very popular tourist destination for its scenic beauty and pleasing climate. The place was a summer resort at the time of British rule and owes much to its originator lord Dalhousie for its fame and glory. This tourist destination featuring a hilly terrain is dotted with a large number of Victorian style mansions that stands witness to its former royalty. The place provides for a pleasant trekking experience to the starters along with the serious trekkers. Blessed with outstanding excursion and its salubrious weather along with the luxury heritage hotels make it a flourishing tourist center of modern times. 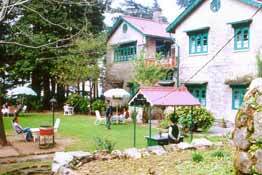 The heritage hotels of Dalhousie are good option for both leisure and business travelers. These hotels features well-furnished rooms, landscaped terrace lawns and in house restaurants all fitted with modern day facilities. During the stay in Dalhousie pamper your taste buds with an array of vegetation and non-vegetation preparations. A wide range of facilities like Purified water for drinking, parking facilities, beauty parlor, Safety deposit lockers and the newspaper are being offered by the heritage hotels of Dalhousie. Next time you plan to visit Dalhousie, just click at the HeriatgehotelsofIndia an online portal that allows travelers to book one of the heritage hotels by availing great discounts on the booking.